Butterfield Cavaliers is now re located to Vernal, Utah. We moved from Norco, Ca. a year ago. We still value our California puppy owners and deliver to California regularly. We still have a son and a daughter living in Southern Ca. and belong to the local breed club there. We bought our first Cavalier about nine years ago and it did not take long for us to become totally in love with Cavaliers. We purchased a second and a third. I soon knew that I wanted to become a breeder of these sweet dogs. I have loved dogs my whole life and have always felt something was missing if I did not own one. 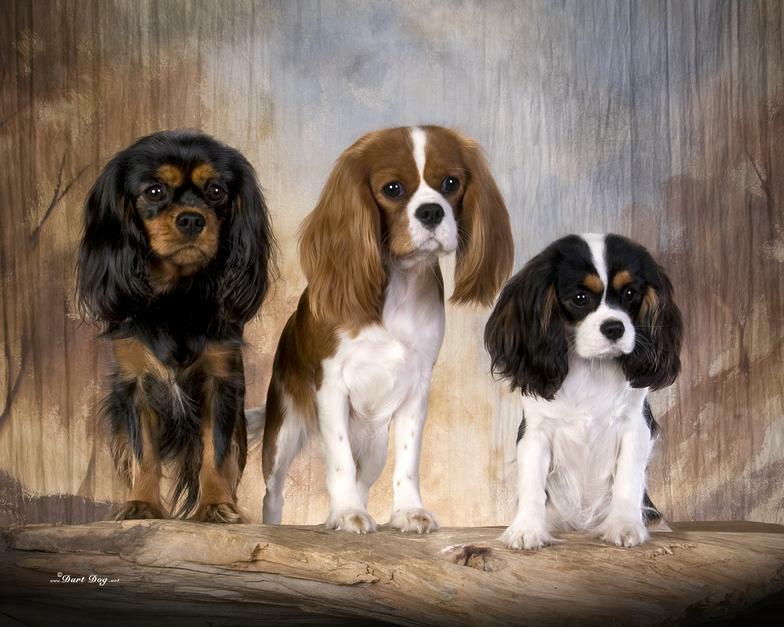 I began to read everthing I could find about these lovely spaniels, and about breeding dogs. I realize that to become a responsible breeder I needed to show, join all the necessary organizations and educate myself in the breed. I am constantly looking for ways to make myself a better owner and breeder. The health of our dogs is one of our primary concerns. We will never breed a dog that has not had all the necessary health tests or has any medical or hereditary problems that would prevent them from producing healthy, sound pups. They will be tested for heart, eyes and hips by age 2 and current on vaccinations. They are fed a diet of quality dog food and raw foods supplemented as necessary to meet each dogs special needs. This Site is Very Much A Work in Progress. We are very proud of our Little Family of Cavaliers and Hope to Share Our Progress in the Show Ring and As a Breeder with Fellow Dog Lovers. Hopefully we will have Many Brags and Ribbons to Share with you soon. Give me a call, I love talking about my dogs and will gladly share what I know about them with you and answer your questions about them or tell you where you can find more information.